You are at:Home»World News»Can Smallholder Farming Reduce Poverty? Can Smallholder Farming Reduce Poverty? LONDON, United Kingdom – The agricultural industry has been marked by increased industrialization and new technologies in recent years, however, smallholder farmers still make up two billion of the world’s farmers, living and working on more than 500 million farms across the world. While most of these farmers practice traditional techniques and have little access to finances, smallholder farming has proven to be a key tool in the reduction of global poverty. Smallholder farming refers to small scale or family farming and includes producers ranging from “the most marginal and impoverished” to those immersed in local, national, and international markets. 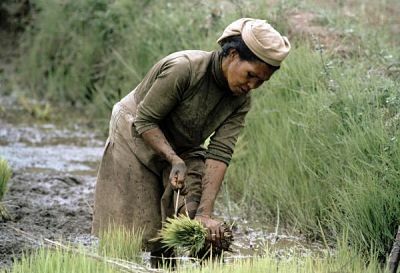 Many smallholder farmers are women who are responsible for feeding their families and themselves. Development charity Oxfam calls smallholder farming “one of the surest ways to relieve poverty” because it provides farmers with the opportunity to partner with corporations. According to Tim Aldred, head of policy and research at Fairtrade Foundation, “There’s a huge opportunity for smallholders to sell to big businesses” as long as farmers avoid unfair partnerships with multinational corporations. These “big businesses” can provide smallholder farmers with the capital and markets they need to profit from farming, transforming their farming from a mere means of subsistence to a means of profit. Vietnam is one country that has been positively affected by smallholder farming. The country’s poverty rate decreased from 58 percent in 1993 to just 18 percent in 2006, and its malnutrition rate has been halved since 1998. Hannah Stoddart, head of economic justice policy at Oxfam, attributes Vietnam’s progress to “political will and vision,” which she says steered investors towards smallholder farmers. Vietnam has shifted from being a rice importer to the world’s second biggest rice exporter. Malawi, one of the poorest countries in Africa, has also seen great improvement from smallholder farming. Thousands of farmers are now members of the Fairtrade International group, which provides them with resources they would not have as individual farmers. As one of the first countries in Africa to forge a fairtrade network, Malawi has brought electricity, schools, irrigation, and healthcare to many areas where smallholder farmers live. Haiti, too, has seen recent changes due to smallholder farming. The Smallholder Farmers Alliance has united 2,000 farmers and established tree nurseries throughout the country to counteract deforestation. The SFA also gives farmers higher quality seeds, tools, affordable loans, and training so that they can increase their yields by 40-50 percent.